Cork Chamber Annual Dinner 2019 - NOW BOOKED OUT!! Name: Cork Chamber Annual Dinner 2019 - NOW BOOKED OUT!! Cork Chamber Annual Dinner 2019 is now SOLD OUT! 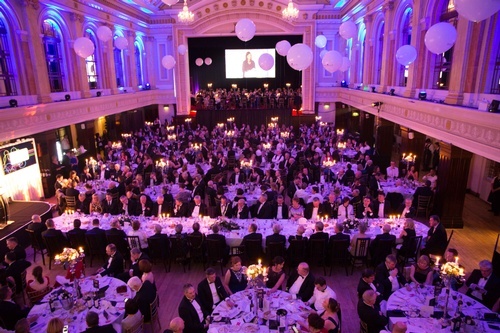 Cork Chamber Annual Dinner is the region’s largest flagship event of the year, attracting close to 1000 people every February for this black tie corporate event. The dinner will be held at City Hall and is the ultimate celebration of Cork. This event will be particularly special as Cork Chamber celebrates 200 years in business, while also announcing the winners of the 4 categories of the Cork Company of the Year Awards 2019.